Today we have two new games from Cameron Keast of Valencia, Spain. Thanks Cameron! Set Up: I used a cheap children’s roulette wheel I bought for a couple of euros. Bootcampers have to gamble on how many of an exercise they will have to do. Set up about 10 stations of your choice with a variety of exercises. 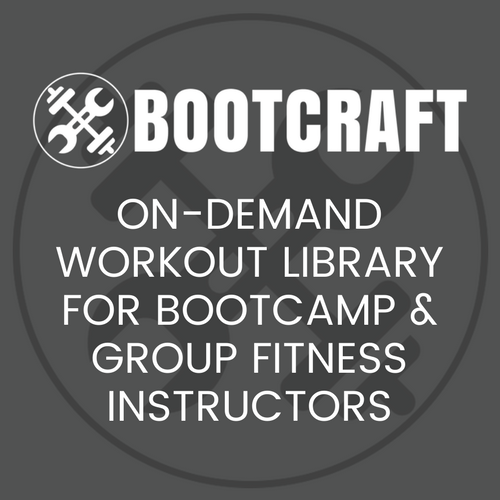 Bootcampers have to start at a station. Spin the roulette wheel and they have to complete the number of reps that the ball lands on. Bootcampers then choose a new station (they must do each at least once). Repeat until 10 spins have gone for a nice 10-15min workout. The tension is brilliant when bootcampers are standing at a dreaded exercise! Set Up: Write different exercises on tennis balls and place them in a pile. Get your bootcampers to pair up in a circle the balls (around 15m away). When you say go, bootcampers have to wheelbarrow walk one another to the balls and collect a ball (one at a time) and go back to their starting point. There they both do the exercise on their ball before returning to collect another in the same way (swapping roles). The game ends when all the balls have been collected and the winner is the pair with the most. Depending on the number of balls you use you can do this as different rounds or one long game. Cameron Keast runs The English Training Club. The English Training Club runs bootcamps in Valencia, Spain as a combination of Spanish and English language lessons and fitness training. Follow him on Instagram or Facebook. Got an awesome drill you’d like to share? We’d love that! Submit it to us here. these are actually some really great ideas to have fun at a boot camp while still training them hard! For Roulette, do you have 1 camper spin for everyone or do they each spin when they finish their individual station?